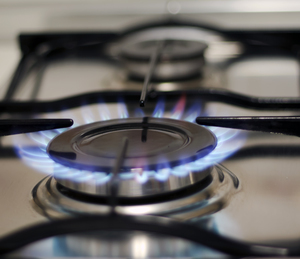 The 'Big Six' energy suppliernpower is the latest energy firm to reveal a surge in its UK gas revenues. Figures from its parent company RWE showed an 11% rise in revenue for the first half of the year - with figures reaching a total of £1.1bn. Npower put up its gas prices by 8.6% back in November 2012, and has subsequently benefited from one of the country's coldest springs for years to see its UK revenue soar in the first six months of the year. In total the firm has 6.5 million gas and electricity customers in the UK. It wasn't all positive news for the energy supplier however, as npower also reported its operating profits were down three per cent on this time last year at £176m. The firm blamed the shift in government regulations and schemes pushing UK energy suppliers to offer energy consumers ways to make their home more energy-efficient. It said: "The persistent trend towards energy efficiency also led to earnings shortfalls." RWE npower is one of the few 'Big Six' energy suppliers not currently participating in the government's flagship Green Deal initiative, however it is set to join the scheme later in the summer. The Green Deal scheme offers energy consumers loans on ways in which they can improve their property's energy efficiency, for example the fitting and installation of wall insulation or the upgrading of an old boiler to a more energy-efficient model.